Since 1991 CSI has been providing sophisticated, scalable, reliable ERP solutions to small and mid-size Distribution and Manufacturing companies in Texas. We are a Business Partner of SYSPRO, an internationally-recognized, leading provider of enterprise business solutions with over 14,000 licensed companies which encompasses over 200,000 users across a broad spectrum of industries in over 60 countries. The SYSPRO product portfolio allows us to offer world-class software tools to our customers which can be implemented on-time and within budget. Our focus is on helping you maximize your ERP solutions investment for your specific business through software. We work closely with you to understand your operations and leverage the system to increase efficiency and reduce costs through process improvement and automation. We provide in-depth, experienced accounting, distribution and manufacturing consulting. For years, CSI has prided itself on our dedicated and knowledgeable staff. We can provide an unparalleled staff of distribution and manufacturing experts that have business and technical expertise, real-world distribution and manufacturing expertise, and thorough, in-depth knowledge of our products and related services. Our staff consists of CPAs, engineers, system analysts, and support technicians. 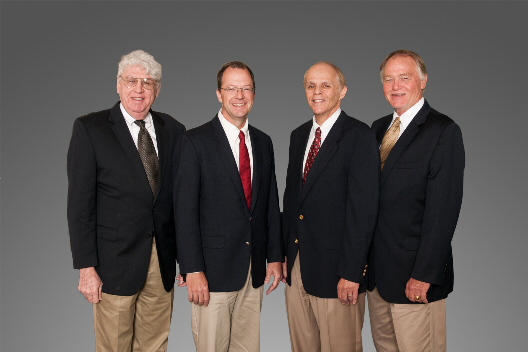 Our executive team enables us to provide a level of unmatched service and support for our valuable clients.